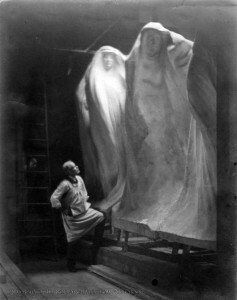 Sculptor and U of I alumnus Lorado Taft had made quite a name for himself in American art circles by the late 1920s. His sculptures and statues, designed in his Chicago studio, had been installed in Chicago, Denver, Washington D.C., and other places around the country. Dances on campus were the source of pleasure for a large number of students who attended the University from before World War I through the 1960s. Dances were presented by various classes, Greeks, non-Greeks, Ag students, and the Y.M.C.A. and Y.W.C.A. When Urbana was chosen as the site of the Illinois Industrial University (now the University of Illinois) in 1867, one of the advantages it had over other potential locations was the Urbana and Champaign Institute, a brand-new, five-story, empty school building that was ready for the University’s immediate use. This building became the University of Illinois in 1867, and was the only campus building until the Mechanical Building and Drill Hall was erected in 1872. 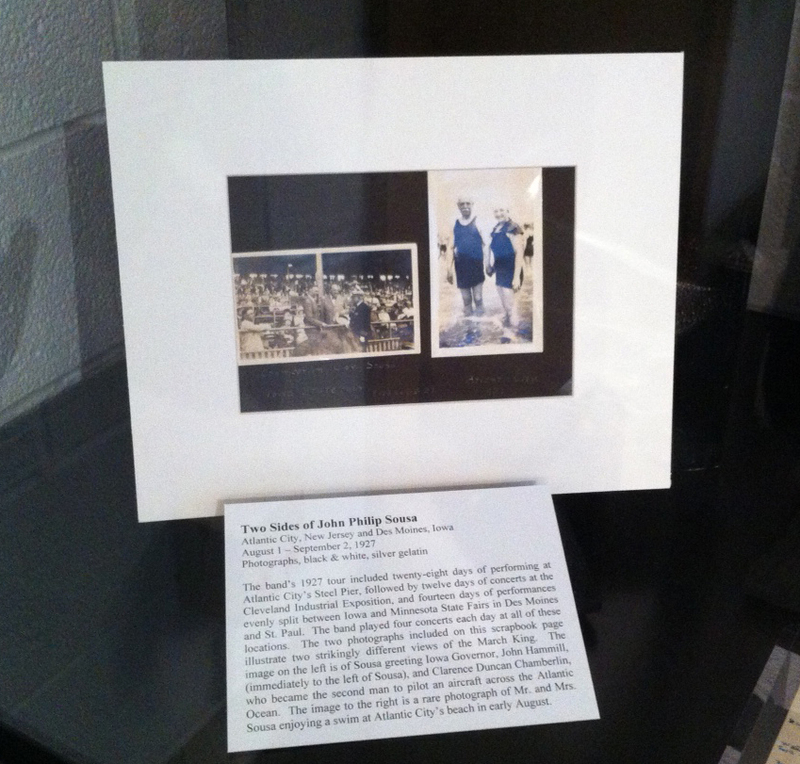 John Philip Sousa hits the beach at new exhibit! Charles Strothkamp (1896-1983) was born and raised in Manhattan, New York. At the age of fifteen he began studying clarinet, and nearly fifteen years later joined the Sousa Band as fourth clarinet for its 1926 tour which included extended performances at Atlantic City’s Steele Pier, Philadelphia’s Willow Grove Park, and concerts throughout the New England, Midwest and Mid-Atlantic states. After Sousa’s death in March 1932, Charles went on to study stenography and typewriting at New York’s Drake School of Business and eventually took a position as railway postal clerk with the United States Postal Service. He remained with the postal service for thirty years and retired in 1965. Throughout his music and postal careers, Charles was an avid amateur photographer who chronicled his travels with the Sousa Band, his parents on summer trips, and everyday life in New York City. As he travelled with the Sousa ensemble his camera meticulously documented the candid off-stage life of his colleagues between 1926 and 1930. This exhibit explores the humorous exploits of the Sousa Band as it travelled across America at the close of the roaring twenties and the beginning of the Great Depression. The exhibit is part of the Sousa Archives and Center for American Music‘s American Music Month Celebration and it’s located in the Harding Band Building, 1103 S. Sixth Street, Champaign, IL. By Lindy Smith, Research Service Archivist, The Ohio State University, and former Graduate Assistant, Student Life and Culture Archives. Long before the OSU-Michigan game ended play for the regular season, it was a tradition for the Illini-Buckeye rivalry to bring things to a close. From 1921-1933, Ohio State and Illinois met to play their final games.